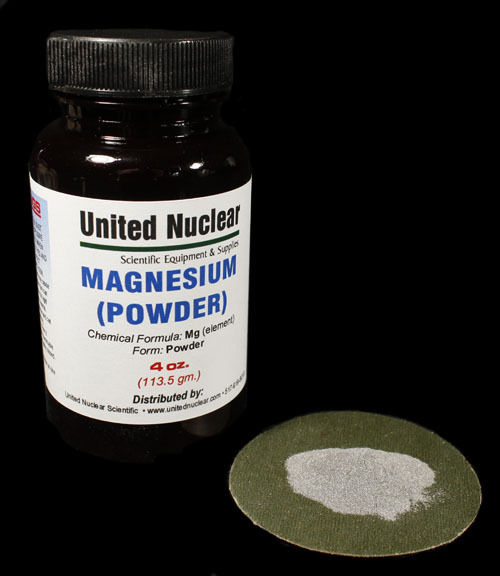 Pure Magnesium Metal, similar to our granular Magnesium, but a much finer powder. Magnesium is a chemical element; atomic number 12. Magnesium powder is used to prepare Grignard reagents, which are useful in organic synthesis, to remove Sulfur from Iron & Steel, and as a reducing agent for the production of pure Uranium metal. Also finds use in some pyrotechnic compositions due to the brilliant white light it produces when ignited.